Meet Us And Explore Our Showroom. We would love the chance to meet you to discuss with you your particular business needs. Call us via 615-754-2233 to schedule a meeting. We Offer Genuine Canon Supplies. 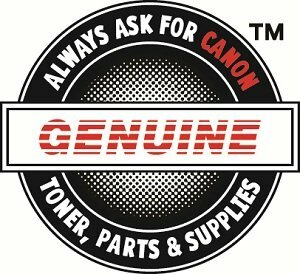 American Business Copiers is proud to offer you only Genuine Canon supplies for your Canon office equipment. Insist on Genuine Canon supplies from American Business Copiers. Welcome to American Business Copiers! Welcome to American Business Copiers. For more than 35 years, we have been your Authorized Canon Copier and Facsimile dealer located in Middle Tennessee. We offer a complete line of digital imaging solutions to fit your business needs. Our product line includes color as well as black and white imaging systems, facsimile equipment, and fully integrated office imaging and collaboration systems. Whether you are an office of one or a member of a global organization, we can tailor a solution to your specific requirements. We offer solutions ranging from desktop convenience copying to networked digital imaging solutions to meet the needs of your department or your entire company. We provide complete service and maintenance on all of the products that we sell. Our factory trained staff of technical support representatives are here to ensure that your Canon Office products continue to perform at the peak of efficiency. As your Authorized Canon dealer, we also carry a complete line of supplies for your Genuine Canon office equipment. From copier toner to staples to paper, we are able to provide you with prompt delivery of your supply orders. Call us today at 615-754-2233 to discover just what we can do for you. This Month’s Featured Canon Solutions From American Business Copiers, Inc.
Every month we go through our Canon inventory and handpick solutions to feature on our homepage. Click on a solution to learn more or give us a call today at 615-754-2233 for more information! We look forward to speaking with you soon. What do people search to find American Business Copiers? The content tags below are strictly used for search engine optimization purposes and should be ignored.